Last known photo of British mercenary, Andrew McKenzie, shortly before his execution by firing squad in Angola. 1976. | I hope to be remembered for my atrocities! Last known photo of British mercenary, Andrew McKenzie, shortly before his execution by firing squad in Angola. 1976. The 1976 Angola Mercenaries were a group of foreign personnel recruited to take part in the Angolan civil war. The Luanda mercenary trial took place in Luanda, Angola from 11 June to 28 June 1976. It involved 13 foreign mercenaries who had been captured by Angolan government forces while fighting for the FNLA in February 1976. The trial concluded on 28 June with four of the prisoners sentenced to death, while the others received sentences of between 16 and 30 years. Gearhart, Georgiou, McKenzie and Barker were executed by firing squad on 10 July, after Angolan President Agostinho Neto confirmed the death sentences passed by the tribunal on June 28, in spite of appeals for clemency from Queen Elizabeth, the International Commission of Jurists and US Secretary of State Henry Kissinger. 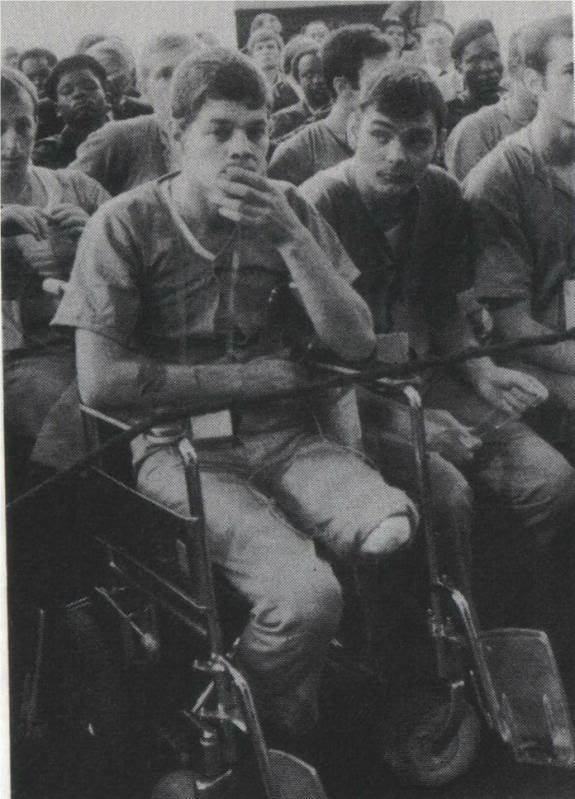 Acker and Grillo were released on 15 November 1982 as part of a prisoner exchange. The remaining seven men were released in February 1984. 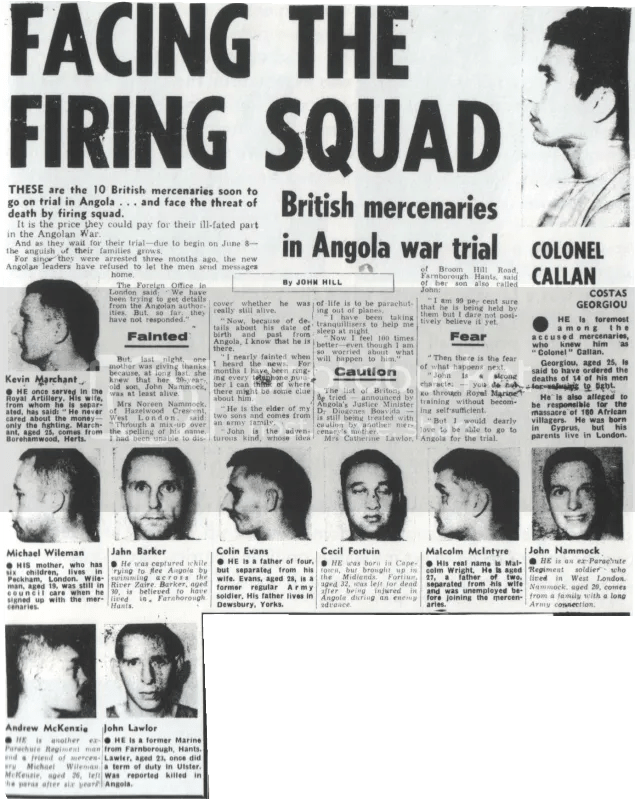 The fate of British Mercenaries in Angola in the 1970`s .Four were executed following a trial and subsequent guilty verdicts . This entry was posted on March 2, 2013 by Miep. It was filed under Uncategorized and was tagged with Angola, Angola Mercenaries, Angolan civil war, Angolan government forces, Luanda, Photography. tough time choosing btween BlogEngine/Wordpress/B2evolution aand Drupal. looking for something unique. P.S Sorry for geyting off-topic but I had to ask!